Friends, all good your way. I just got home from a late afternoon surf. The waves are up and the water is summer warm. Optimum situation Indeed! I’ve been working on the railroad over here at SpragueLand with SF vocalist Jennifer Lee on her new CD. We’ve been at it all week with Bob Magnusson and Duncan in the loop along with Bootsa  an amazing bassist from the old world plus Raul on percussion who carries the spirit of happiness with him at all times. It’s been great and intense all rolled into one. Bro’ Tripp is coming in tomorrow for some sax and harmonica overdubs and Jennifer is playing both piano and guitar along with her beautiful vocals. Look for her new recording in a couple of months. Sweet! Last week was a hurricane of great new frontiers. Leonard’s CD release concert at Dizzy’s was a true success including creative musos exploring Leonard's original tunes mixed in with the fact that the physical CD's actually made it there on time. You can't believe how many CD Release concerts take place with the CD's still sitting at the duplication plant waiting to get completed. It was a close one, but indeed Leonard’s shipment of discs were on hand and it looked like a bunch of folks we’re digging into it realtime. 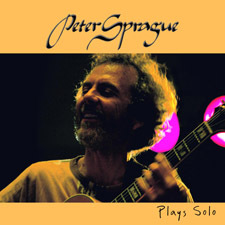 Stoke for Leonard and if you don’t have his new music you ought to check it out here. It’s a good one. Maestro Fred Benedetti and I had a very inspiring time performing at the Ravi Shankar event. The whole setup was so cool with an Indian look and feel, incredible sound and visuals, video postcards from George Harrison’s wife and Nora Jones among many others, a fantastic Indian dance duo, a trio of young (11 and 14 year olds along with Mom) classical musos who absolutely tore it up on some Mendelssohn, and then Fred and I we’re the final act. We had a great moment with my "Width of the World” piece along with my semi-whacked version of the Beatles “With a Little Help From My Friends”, playing it for the big group of folks along with Ravi and his entourage. Afterwards Fred and I said hello to Ravi and he said he dug what we were up to and that we ought to go to India with him. Fantastic and when do we leave? Any surfing in Bombay? It was great to meet such an inspired and lovely human being. Ravi rips! 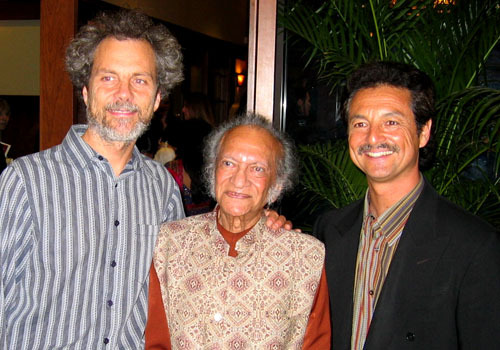 Peter, Ravi Shankar, and Fred Benedetti. For this week Leonard and I are heading to Temecula tomorrow night for a concert at The Merc. They have an ongoing Thursday night series and we’re stoked to be included. I hope to see you there especially for the folks that are further off the North County grid.